A luxury yacht charter can make your Florida beach vacation romantic and laid back. St. Petersburg has become the underground hub to charter a luxury yacht on the Florida Gulf Coast. The per day prices for a luxury craft leaving from St Pete will be far more reasonable than you will find in Miami, Naples, or Key West. What could be more relaxing than launching on a carefree cruise down the Gulf Coast with visually stunning landscapes, breakfasts and dinners looking out into the Gulf or back into picturesque harbors, and gentle evenings out in the fresh salt air before turning in? Ever since Cruising World magazine rated the Florida Gulf Coast as the top yacht chartering destination, more couples are investigating the region each year. Fortunately, St Petersburg remains under the radar because of the notoriety given to the marina areas in Fort Meyers or Naples. Just because you want to make your Florida beaches vacation more memorable, doesn't mean it needs to be more expensive. Making the choice between a luxury sailing boat and full-power yacht, as well as your length of travel and destination are the main ones you want to nail down first. * Start your research early. Giving yourself 6-9 months lead time will allow you to comb the Internet, make phone calls, and compare amenities/prices. 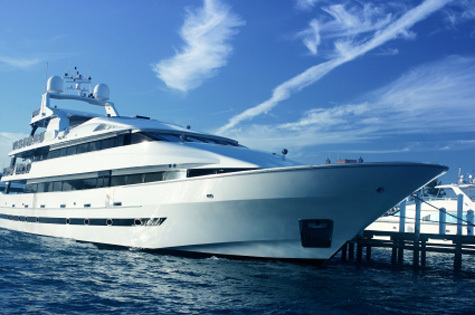 * Since St Petersburg FL is a small market, the few yacht chartering places want your business. There will be room to negotiate on just about everything. * It would be good to checkout chartering a luxury yacht from Clearwater, Tarpon Springs, and across the Sunshine Skyway Bridge in Bradenton/Sarasota. This will give you good information for negotiation. * Decide if you want your trip catered, or if you will purchase food and cook on your own. Downtown St Pete has several supermarkets. Find out how early you can bring food aboard prior to leaving. * Plan your wardrobe ahead of time, not the morning when you launch. You don't want to wear the same shorts, Aloha shirt, and flip-flops the entire cruise. * Make sure you have basics like sunglasses, some books, and your camera. 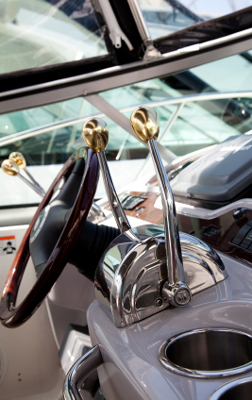 The ease in making a luxury yacht charter will be enhanced by your prior planning. You want your cruise to be as laid-back and relaxing as you dreamed it would be. Chartering a luxury yacht for your Florida beach vacation will provide you memories for years to come.